Image Copyright: ACHS. Photographed at the ACHS Urban Herb garden in Portland, Oregon. In her delirium, Ophelia says to Laertes, “There’s rosemary, that’s for remembrance.” Indeed we often think of rosemary for memory: It turns out that Shakespeare did know his herbs. But in herbal studies, rosemary Rosmarinus officinalis has many other qualities to offer the budding herbalist. To kick off our new “Herbal Studies 101” blog series, enjoy these quick and helpful facts about one of my favorite botanicals: rosemary Rosmarinus officinalis (L.). Rosemary has also traditionally been used to freshen breath when eaten, used as a hair rinse for fuller hair and to reduce dry scalp and dandruff, added to skin care it can help to nourish skin, and drunk as a tea for healthy circulation and to help with cramps and healthy digestion. 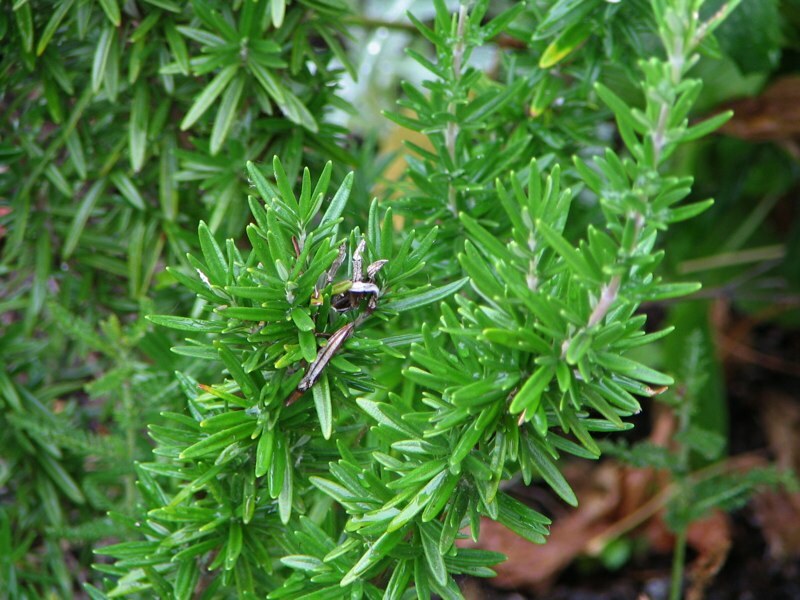 Rosemary is most famously known for its support for memory and a clear mind. An increase in the speed of memory was also observed in a small-scale, randomized, placebo-controlled, double-blind study involving 28 older adults given a daily dose of 750mg of dried rosemary leaf powder. Another larger-scale, randomized, placebo-controlled, double-blind study involving 144 participants demonstrated that exposure to rosemary essential oil (via inhalation) enhanced the overall quality of memory. Some research shows rosemary essential oil has an antibacterial activity against a variety of bacteria,, including Staphylococcus aureus, a culprit responsible for skin infections, respiratory issues, and more than 500,000 deaths per year. 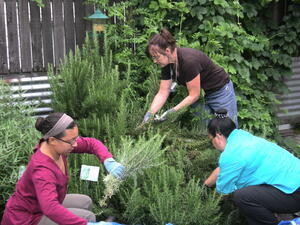 Rosemary is a shrub that can grow to over three feet high with branches of scaly bark. The leaves are needle-like, evergreen, and can grow to 1-2 inches long. The leaves are highly aromatic with a strong, pleasant, camphor-like scent. Rosemary flowers are small, pale blue or white. There are many varieties now available including trailing and upright varieties. The young tops, leaves, and flowers are all used in cooking and herbal studies. It is commonly distilled for it's essential oil. 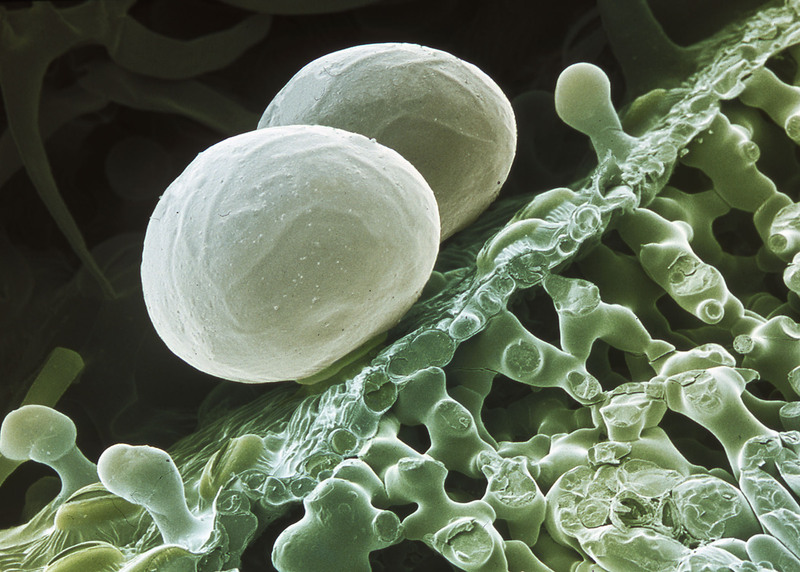 Image: Microscopic image of Rosemary. Rosemary is a staple of the Mediterranean Diet, and was found in most medieval kitchen gardens. It was believed that where rosemary flourishes, the woman rules! Rosemary is a hearty, aromatic herb. Just rub a sprig of fresh rosemary between your fingers and inhale… you’ll smell the strong aroma from the volatile oil! Rosemary is a friend to chefs, and when used sparingly, can enhance the flavor of meat, sauces and soups, herbed butter or dip, pastries, and herbal iced teas and mocktails. The name “rosemary” comes from the Latin roots ros (dew) and mare (sea), which means “sea dew,” referring to the wild, rocky coast of the Mediterranean, its native habitat. Other common names for rosemary: compass-weed, compass plant, polar-plant, and incisor. Incisor refers to the French use of burning rosemary with juniper Juniperus communis (L.) to cleanse the air. Rosemary + Juniper… sounds like a lovely, cleansing diffuser blend! Native to the temperate climate of the Mediterranean, rosemary does best in dry, warm soil with lots of sun. In the ACHS garden, we grow the rosemary against a fence where it gets a lot of sun and heat and, as you can see in the photograph to the right, it loves it! Tip: if you’re growing rosemary to distill essential oil, don’t use too much organic fertilizer, which can reduce the yield of oil. Rosemary can be grown from seeds, cuttings, or layering. Layering or cuttings produce the fastest results. Rosemary is a perfect herb to grow in a planter in a sunny windowsill. With a kitchen herb garden, you’ll never need to buy fresh herbs again! It’s as easy as adding a pinch of rosemary leave to your cooking! For a daily dose try rosemary capsules or try preparing a rosemary essential oil based blend for your diffuser for a clearer mind, faster recall and improved memory over all! You can also prepare an infusion, tincture, tea, a poultice for direct application, diffuse the essential oil, and prepare DIY bath products and cosmetics. Prepare herb as a standard infusion. Steep for 20 minutes. Strain, and add borax. Let cool, and use as a hair wash. Borax is a preservative and water softener. So, what is YOUR favorite way to use rosemary? Have a favorite recipe or DIY wellness tip with rosemary? Please share in the comments. Kivanc, M. & Akgul, A. (1986). Antibacterial Activity of Essential Oils from Turkish Spices and Citrus. Flavour Fragrance, 1:175-179. Montes, M.A., Wilkomirsky, T., & Bello, H. (1998). Antibacterial Activity of Essential Oils from Aromatic Plants Growing in Chile. Fitoterapia, 69(2):170-172. Kasper, D.L. (2007). Group A Streptococcus Epidemiology and Vaccine Implications. Clinical Infectious Diseases, 45(7):863-865.